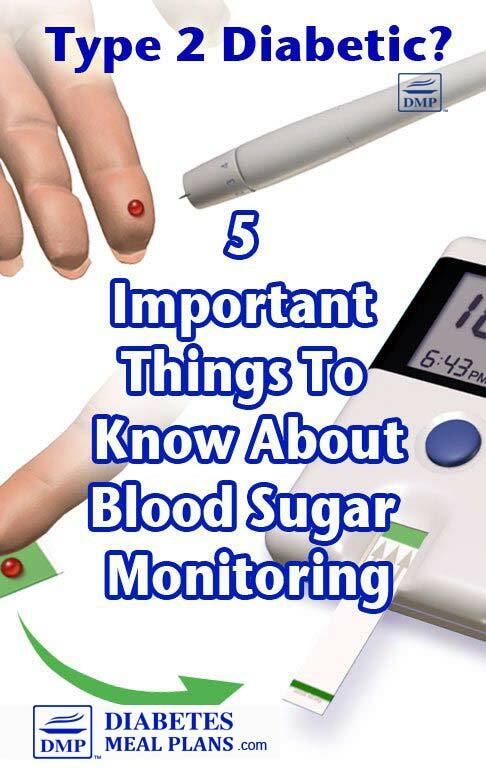 Blood sugar monitoring can be a bit of a chore but it is important to get into a good monitoring routine. I know the numbers can sometimes be surprising, such is having high morning levels when you think they should be low. It can even send you into a panic sometimes when you don't see the right numbers, right? Well, to help make it a little bit easier, I've got a few tips to help. Do you freak out when your meter reads 200? Or go into panic mode when it’s different than you thought? Rather than thinking of values as “good or bad numbers,” try to start thinking of every reading as “good information.” Monitoring is simply that–monitoring. You are gathering and collecting information as pieces of a complex puzzle you are trying to put together. 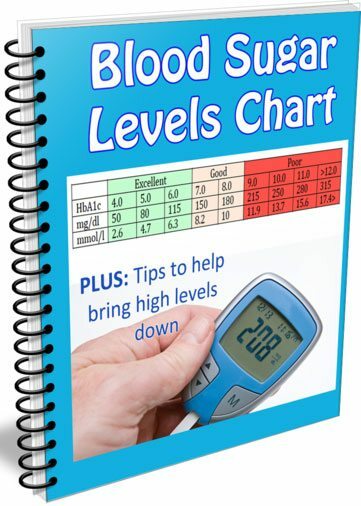 Your blood sugar levels are an indicator of a very wide variety of factors including: diet (timing, foods, portions), activity, hormonal activity, stress, sleep, weight, genetics and many other things. To detect patterns (see below) as to health indicators that may need to be addressed. To identify potential links or associations. To make smarter decisions in the future. So as an example, if your blood sugar normally tests at 130 after dinner at home and it tests at 180 when you eat out at a buffet, that is an indicator that increased portions or poor food choices have a significant effect on your blood sugar and perhaps you will opt for dining somewhere with better portion control. A number on the scale is not inherently “bad” but if it is creeping up, it may be an indicator of poor decisions or an issue with your health that needs to be addressed. Monitoring your health is all about balance. If you think about the healthiest person you know, surely they slip up from time to time, have a dessert here or there, miss a day or two of exercise. But that is not their regular pattern. Our bodies were wonderfully designed to adapt to suboptimal treatment (aka self abuse with food, lack of exercise) and they can quickly recover from minor damage here and there (think of scars, bruises, and broken bones that have healed completely or with only minor traces of damage). Our blood vessels can sustain very short periods of high blood glucose on occasion. BUT, it is when there is a regular ongoing pattern of highs or lows that is cause for concern. So if you’re normally testing in the 110 range and you get a 175 all of a sudden, don’t panic. Take note of what you’ve recently eaten, your stress levels and check your blood glucose as you had before. Remember it’s very important to write down your glucose numbers in some sort of organized table format. It’s difficult to detect patterns when all of the numbers are confined in your memory. Alternatively, you can track it in an app such as glucose buddy. This will also help you and your physician make more informed treatment decisions. Your blood sugar levels are continually changing based on your activities, your food intake, your stress levels, whether you are sick or well, and many other factors. Dietary intake is the most influential variable when considering fluctuation in blood glucose and carbohydrate is the key nutrient associated with a rise in blood sugar levels. Where it gets a little tricky is that not only the amount of carbohydrates, but the type of carbs and combination also play a role. For example 45 grams of carbohydrates coming from a sweet potato served with chicken and broccoli will affect your blood sugar much differently than a glass of orange juice by itself. If you're confused by carbs, take our free 2 week carb course. Refined and isolated sugars will elevate glucose very rapidly, especially when isolated from other nutrients, whereas complex carbohydrates with a lot of fiber slows the process down. Additionally, having a balance of protein and healthy fat will slow down the rise in blood glucose. What this means is you also need to be aware of timing. For example, you might find that having a large gooey cinnamon roll (not recommended) doesn’t spike your blood sugar. But in actual fact, your levels could be through the roof many hours later due to the fat content delaying the sugar spike. Meters can be off by as much as 20% and still fall within the FDA standards for accuracy. This means that if if your blood glucose is truly 100, it may read anywhere from 80-120 and still be within regulatory standards. This is simply an effect of making meters cost effective enough for home use. Some meters are higher quality than others, so if exact accuracy is something that is of high value for you, it may be wise to compare options. Be aware that if you use alternate sites for measurement (ie. arms, thigh, calf etc), these aren’t as accurate as fingertips. If you are ill, it is always a good idea to use fingertips for testing. We all do it. Get lazy. Find shortcuts. Become slack in details. But try not to let that become the norm when it comes to monitoring – it really is critical to good blood sugar control and better health. If you’re going to go through the hassle of poking your finger and getting a blood drop, you might as well do it right and get the most accurate information you can. Remember to wash your hands well with soap and water (not alcohol – which will cause skin to be dry and crack). If there is any residue from chopping food or lotion etc, the meter can pick it up and read inaccurate before testing. Use a fresh needle every time you lance. Dried blood is an invitation for bacteria and infection and it’s not worth the risk. In addition, dull needles are more painful than sharp ones. Rotate testing sites. Use different fingers and both side of fingers. Calibrate your meter every so often with the solution it comes with. Check your meters instructions for regular maintenance as some of them require regular cleaning. Make sure you keep all of your testing supplies stored at the proper temperature as excessive heat or cold can damage them and watch for expiration dates. Most importantly, know your numbers. When you know what you're aiming for you can continuously work on improving your results. Grab a copy of our free charts to help. Great read. I’m new to all this. I take Metaformin now 500mg. Family history of diabetes. My husband and I have Completely changed our diets. Very supportive. It’s so True, I notice immediately what it was I ate the day before to make a Better food decision for the following day. My number now run 92-110. My goal.is get to get the meds. Good stuff Susan, great to hear you’re making progress. Yes–Illness can send your glucose numbers up as your body is mounting a defense against invaders. You’d be surprised at how many medications have sugar in them… be sure to check the label (on back) for list of ingredients (check “inactive” ingredients). Unfortunately the sugar free ones often have sorbitol or aspartame…some sort of artificial sweetener. Good plan to ask you doctor–you may want to check with the pharmacist as well–they are very knowledgeable, esp when it comes to OTC options!